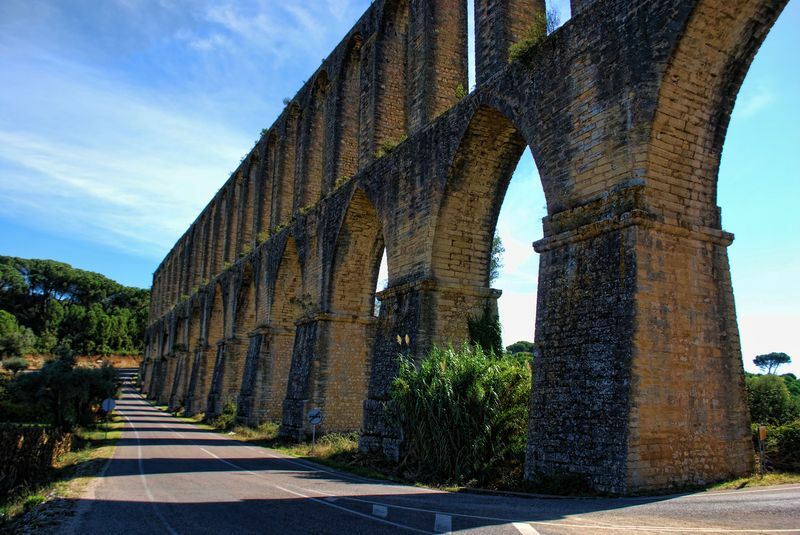 The Aqueduct of Pegões near Tomar seems to stretch over six kilometres and in some areas you can drive or walk near the arches. That’s exactly what I did when I was there. 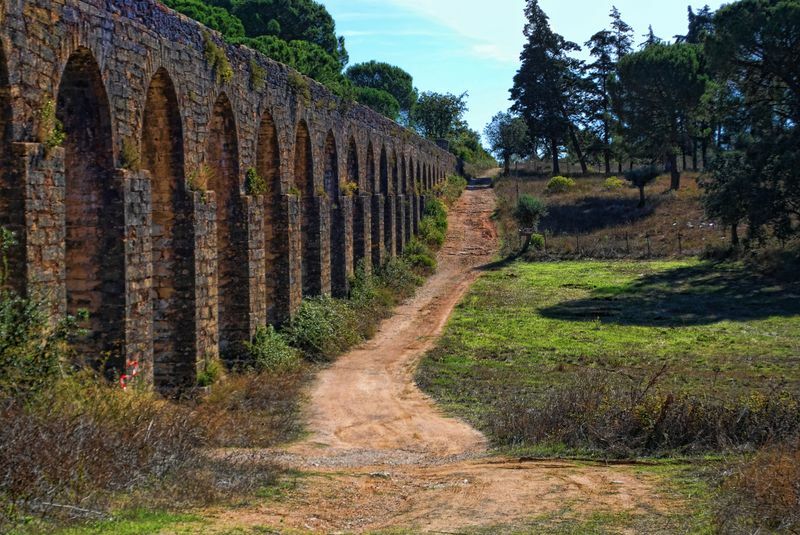 First my sister in law Lucinda Moura drove us alongside the arches as you can see in the first photo and then we walked along some dirt roads nearby as shown in the other two photos. 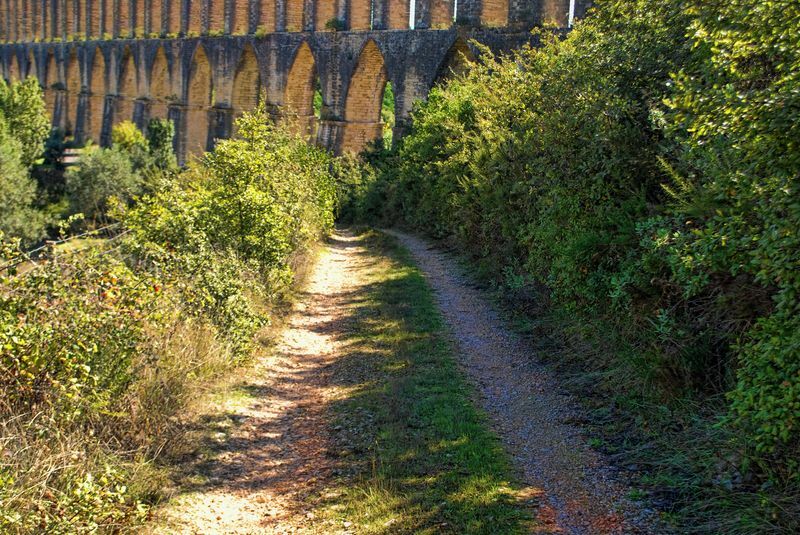 I found out later that the highest point of those arches is 30 metres high.